January has been one very long month, so this weekend I implemented a 'no spend' rule to get me through until payday (tomorrow, hallelujah!). I made a few meals from store cupboard staples and some odds and ends from the freezer, and managed to come up with some pretty tasty results, which got me thinking about posting some frugal recipes towards the end of the month: this month, my frugal Chinese barbeque pork belly and rice. 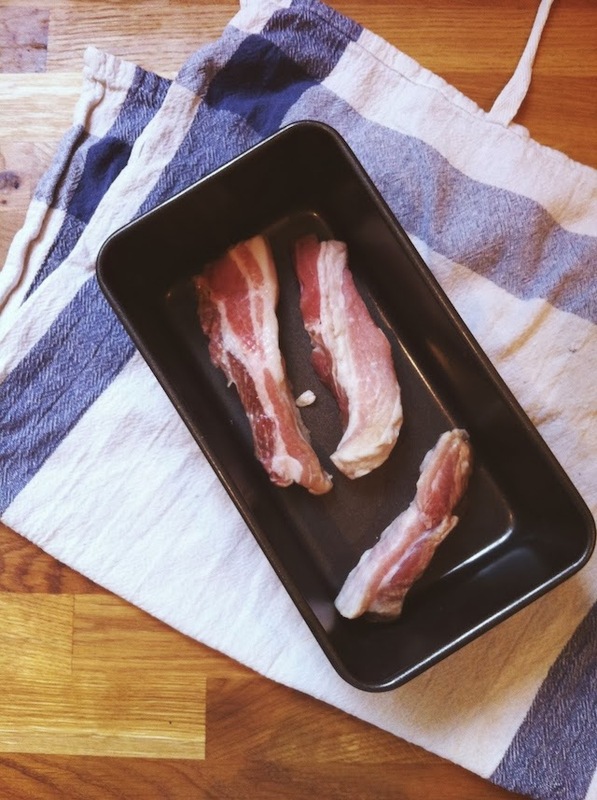 Pork belly is a cheap cut of meat, particularly in slices like this rather than sold as a joint, and these three leftover 'rashers' we had lurking in the freezer ended up making quite a hearty meal (although a couple more rashers wouldn't have gone amiss!). I marinated the pork in a tablespoon each of soy and honey, a pinch of Chinese five spice, one grated clove of garlic and a nub of ginger for a few hours before roasting in the oven for 150C under foil. My sauce was already thick and syrupy, but if yours isn't, just remove the foil and keep an eye on it as it ticks away for a little longer. I served it with steamed white rice and spicy Romaine lettuce - gently boil until just wilted and toss in a little chilli oil. Sounds delicious-I need to become better at trying to use what I already have, I always end up going to buy things on the day and eventually throwing out of date items out the cupboard! It really was! Quite a lot of meal planning goes on this house, but it’s easy for me as I’m thinking about the next day’s meals before I even sit down for breakfast!